* This is a fictional story which portrays my view on religion and how we all have deserve a chance to pick a religion of our choice.
" My name was Mr. X, but from today onwards I would be know as Mr. Y. Why? It is because I decided to convert from Religion A to Religion B and I have to change my name as to make it legal. I know you are thinking it's because I got married to a lady of Religion B and that's why I have to convert, but no. I converted because I no longer feel belong to Religion A's teaching and found a sense of belonging in the teaching of Religion B. This life changing decision came to me with a price, and that price is my entire family. Because of my decision, My family and everyone I know has decided to shut the door on me. I am still the same person as before. The same son to my parents, the same brother to my siblings. But just because I decided to convert to a different religion I have now lost my family. Is this even fair. We often change our smartphones from one brand to another which suits our preferences that differs over time but when it comes to religion, I'm called a sinner just because I converted from a religion which I never choose to begin with to a religion I felt belong. Remember I never choose this religion when I was born. My parents were Religion A devotees and they gave birth to me but that does not mean I must follow the same religion as them. 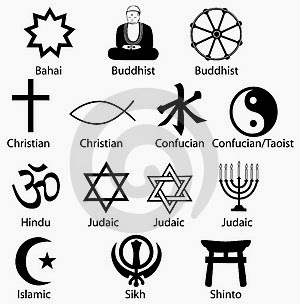 From the day I was born I was only thought the teachings of Religion A and no other religion and that is why I was identified as a person of Religion A. I did not choose this religion when I was kid, instead I was told to follow the teachings of a religion practice by my parents. Only if as a little child, I was allowed to explore all different religious teachings and picked the religion of my choice, I would not have lost my family today. In today's world we have the opportunity to compare different things before we decide to buy something. We try on different shirts before buying one. We are so careful when it comes to buying a house or car but when it comes to religion, we obliged to stay to the religion which we are born into although we may not feel it is best for us without having an option to choose a religion which is best for us. All I am asking is for is to give our younger generation a chance to explore different religious teaching before practicing one. I don't want them to go through what I've gone through just because I converted. Because at the end of the day we all deserve to choose what religion we belong too."